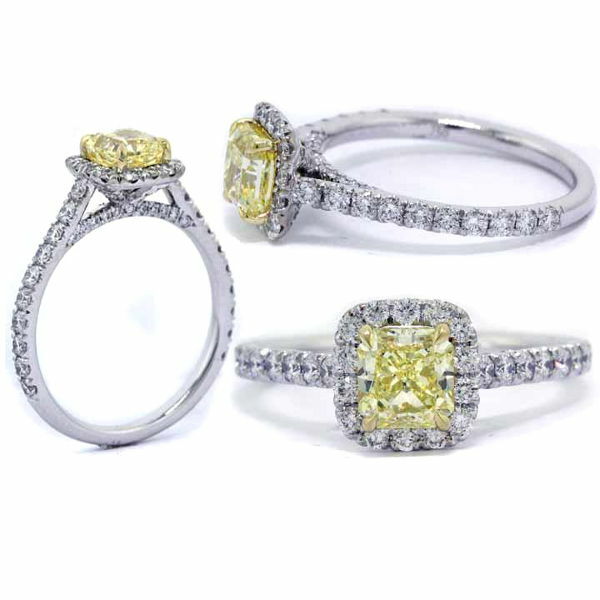 Classic halo yellow diamond engagement ring. Center diamond is a GIA certified 0.70 carat fancy yellow diamond with vvs1 clarity. The diamond is set in a yellow gold cup to maximize its color and the halo and pave shank mounted with 68 white diamonds. Total carat weight is 1.35 carat.